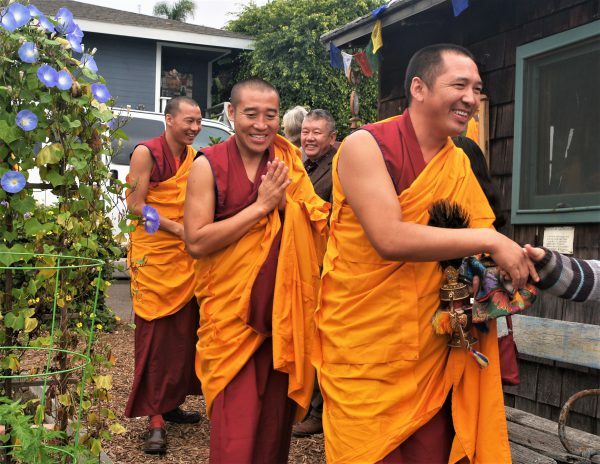 Tibetan Monks will bless the South Laguna Community Garden Park, located at Coast Highway and Eagle Rock Way in Laguna Beach (31610 South Coast Highway) on Tuesday, Feb. 5 at 10 a.m. The public is invited to witness the blessing of the garden park by eight Tibetan Monks visiting from the Drepung Gomang Monastery. This will be the second time a group of monks will bless the park—the first in 2016 brought together nearly 80 people. Attendees will witness “trichord” chanting, as each monk simultaneously sings three notes that together form a complete chord. The monks will also play traditional Tibetan instruments. In addition to the park blessing, residents can still catch the monks at work on their mandala. Final touches on the mandala will be completed from 10 a.m. to 2 p.m. on Sunday, Feb. 3. 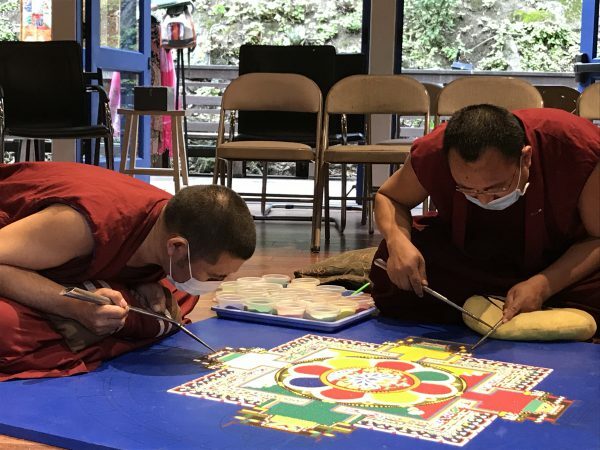 When the mandala is finished, the monks will conduct the dissolution ceremony, sweeping their creation into a pile of sand to illustrate the ephemeral nature of all endeavors. Guests will be offered a small bag of the sand to take home as a reminder of the fleeting quality of this life and the importance of good works and positive efforts while here. The dissolution ceremony includes a procession from the Sawdust grounds to Main Beach, where the monks will chant, play instruments, and cast away the handfuls of sand from the mandala. The Sawdust Festival offered the use of its grounds for the events, which are open to the public. Donations are gratefully accepted and will be used to support the monks’ educational and spiritual efforts toward world peace.